In Australia, the most important factor when choosing a solar panel installer is to ensure that they are “Clean Energy Council Accredited”. This is a qualification that the person installing needs in order for the government to pay out its rebates. Even more important, it means you can be confident the installer has been trained in the safe installation of solar power systems. If you get 3 quotes through this website, you can rest assured that all the suppliers on my books use Clean Energy Council accredited installers. Once you have a number of quotes, how do you choose which supplier should work on your home? Obviously this is very important, but it may not be the most significant factor in your purchase. Remember, this is a system that you will depend on every day for 20-30 years, so it is critical you have a system that has a quality and performance you are happy with. As is true with most things in this world: you generally get what you pay for. If you have been offered a system that seems spectacularly cheap, then you may want to read our article, the high cost of cheap solar – it highlights some of the drawbacks common to a lot of super cheap solar deals. If you are wondering what a reasonable, ballpark price is for a decent solar power system, typical costs can be found in our solar panel price guide. What performance warranties does the supplier company provide? All solar panels degrade 0.5% to 1% per year, but your supplier should provide a written performance guarantee that covers the performance of your panels over at least 25 years. Unfortunately, the solar panel performance guarantee is a very easy one for the manufacturer to wriggle out of for the reasons I go into here. The solar panel warranty you can depend on is the solar panel product warranty. This should be 10 years minimum. Inverters should carry at least a 5 year warranty, but ideally be 10 years. If your inverter warranty is less than 10 years, then you can often extend the warranty for a few hundred dollars out to 10. A 10 year warranty on the inverter is a good idea, as the inverter is the most likely hardware item to fail prematurely. Workmanship should carry at least a 5 year warranty. 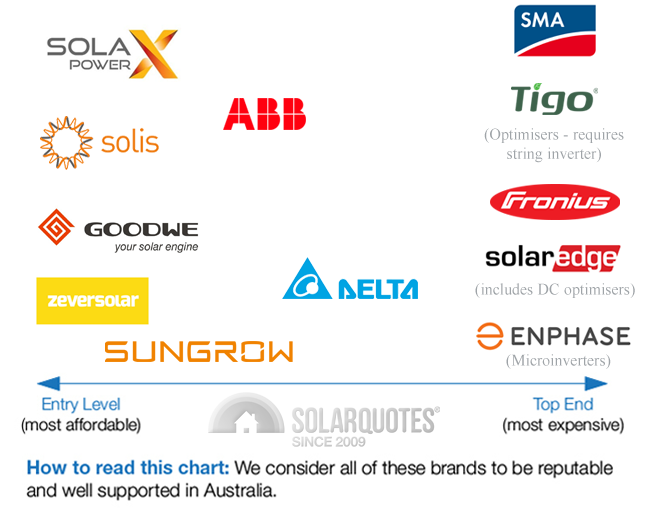 Check that the solar panel and inverter warranty is backed by an Australian entity. I’ve seen cheapo deals where the Chinese manufacturers warranty states the owner has to post the panels back to China at the customer’s cost to get them tested! Ask the installation company how you will know if your system is performing properly. Some contractors may monitor your system over the internet, others may have a service scheme where they inspect your solar power system regularly. At the very least, the company should come back after you have had the system for a month or so to look over the electricity production figures and confirm you are getting the performance they promised. Above all, if the solar installer has good experience with the hardware being installed, and has been doing it for at least 12 months, then there should be enough confidence in the product and install to give you a minimum performance guarantee (i.e. minimum kWh per year produced) in writing. If you really want to understand the warranties that you’ll be getting for your big investment, I highly recommend reading this blog post. A well fitted solar panel can be a beautiful thing. What kind of mounting system does your contractor use, how does it look and does it allow air to flow under the panels? There should be at least a 100mm gap between the roof and the panel, and the panels should never overhang the edge of the roof. Your solar power system will be operating in one hell of a harsh environment – the Aussie sun – and unprotected cables will not last more than a couple of years on your roof. Don’t accept an install that doesn’t have all external wires in conduit if you want the system to last 20+ years – and good quality UV protected conduit at that. 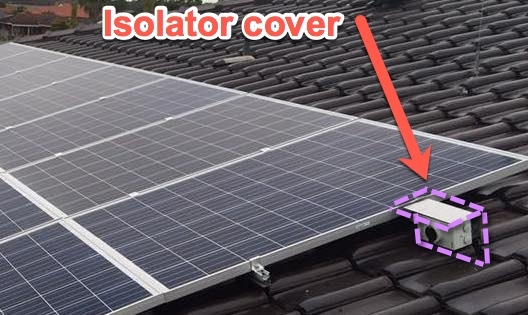 Also insist on a $10 stainless steel or aluminium cover for the rooftop isolator. This stops the sun from destroying the plastic isolator that is often carrying hundreds of volts! Ask for some referrals and go look at previous installations if at all possible. Inspect the solar installation company’s workmanship, and overall simplicity of the installation. Do they use stainless steel nuts and bolts to prevent galvanic corrosion with any aluminium framing? If there is an aluminium frame on a tin roof, have they used an insulating separator to prevent galvanic corrosion (when dissimilar metals react to each other and corrode)? Have a look at the inverter installation. Are all the cables tidily attached to the wall (ideally in trunking)? Is the inverter protected from direct sun (otherwise it will not last very long)? Ask the installer how many installs he/she does in a day. For 5kW+ installations, then more than 1 and they will be too rushed – in my opinion. Having a good relationship with your contractor matters a lot for such an important project. A good relationship will ensure any problems are fixed up quickly and in a mutually beneficial way. Choose a contractor that you are compatible and comfortable with. For example: If you like to ask loads of detailed questions, go with someone who enjoys explaining things in terms you can understand! Who designs my solar power system? Is the designer accredited by the Clean Energy Council (not just the installer) ? Have you oversized the solar panel array relative to the inverter cpacity? If the panels are installed on different roof areas facing slightly different directions, will you use an inverter with separate inputs for each string of panels or DC optimisers or micro-inverters? Is there any shade on my roof? How much will it affect my output? What techniques are you using to mitigate shade? How much of my solar energy do you expect me to self consume, and how much will be exported? Have you designed the system to maximise self-consumption. e.g. by considering East/West arrays? Have you considered energy management to increase self-consumption? e.g. diverting excess solar to my hot water system? Have you considered DC optimisers or micro inverters to improve energy yield? What brand of solar panels do you use? Premium or budget? What brand of inverter are you using? Is it a premium brand or budget? Will you include a stainless steel/aluminium rooftop isolator cover to protect the isolator from the sun? Who does the electrical hookup to the grid? What is the lead time from my deposit payment to getting the system installed and electricity from the solar panels (including new meter)? Can I have this in writing? Have we agreed where the inverter will go? Will you place the solar inverter in a shaded position? Will you go to the extra effort to mount in in my garage if my garage is suitable? Have we agreed where all the cables will go and where any conduit will be visible? Are the installers employed (and trained) by you or are they subcontracted? Do I get a documentation package as per the Clean Energy Council guidelines? Do you give an accurate, written estimation of system electricity production with your solar quotes? What is my comeback if I don’t get that production? How do I know if my system is performing? What can I expect my post-solar electricity bill to be if my consumption stays the same? Can I have that in writing? What is the installation warranty? If I get solar batteries in the future, where will I place them? (Ideally the inverter should be near the location of any future batteries). How do I connect batteries in the future? I’m a Chartered Electrical Engineer, Solar and Energy Efficiency nut, dad, and founder of SolarQuotes.com.au. My last “real job” was working for the CSIRO in their renewable energy division. 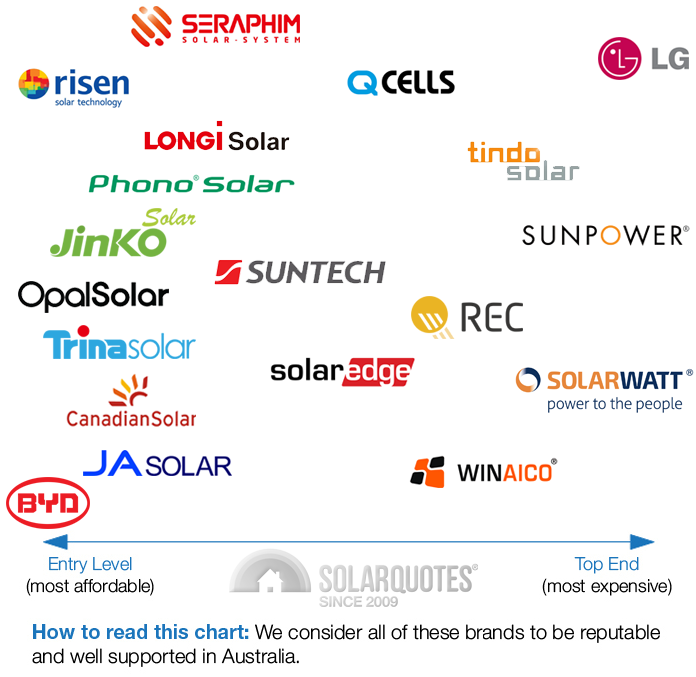 Since 2009 over 380,000 Australians have used my site to get quotes for high quality solar from pre-vetted solar installers.